Mystique Night Club is located in Bangkok, Thailand. This high quality image of the infamous Kisses fixture was sent in by RC. 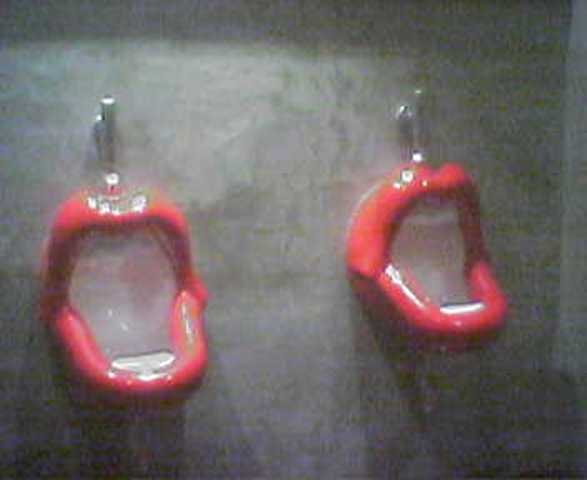 Kisses urinals are manufactured and distributed by a Dutch company called "Bathroom Mania". Images of this installation was first submitted by Rak. He took it with his cellular phone camera in February, 2004. At the time, it was the first known photograph of a Kisses installation on the Internet.